Before joining PPRO Group as Chief Sales Officer for Payment Services in 2016, Ronnie held senior strategic positions at large financial corporations, such as American Express and Paysafe (previously Skrill). 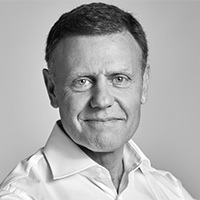 As SVP Sales at Skrill, Ronnie implemented a complete restructuring of the company’s sales strategy and operations to deliver considerable and sustained growth, culminating in a year-on-year growth trajectory of 23 per cent. This ultimately led to the company’s €1.1bn sale to Optimal Payments in 2015. With his proven track record and experience in the fast-moving payments industry, Ronnie works to attract and recruit new Customers into the business. All while managing, providing support and delivering growth for existing partners and customers. As one of the fastest growing FinTech businesses in Europe, exceeding customer expectations remain a key component to PPRO Group’s ambitious growth plans.